A masterpiece of suspense and black humour, we could not get enough of Breaking Bad. Now you can stay tuned with this new pack, featuring all the characters of one of the most widely acclaimed TV series of all time. Who is the most evil? Who is the most intelligent? 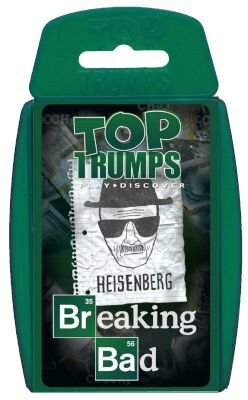 Find out in this unique pack of Top Trumps!